Have you ever found yourself at an event or location and just wondered how the hell you got there? Well, that’s exactly what happened to me a month ago when I found myself talking to Maxine Sanders, AKA The Witch Queen. For those who aren’t aware, Maxine is the wife and partner of Alex Sanders, who passed away in 1988. Alex was the founder of one of the two major branches of British Traditional Wicca- the Alexandrian Tradition. Alex (left) and Maxine (center) Sanders at one of their publicized rituals. Google images. My sister and I arrived in London. We only had one day in the city before taking off on mini road trip through the English countryside. As a big fan of museums, we wanted to visit the British Museum. 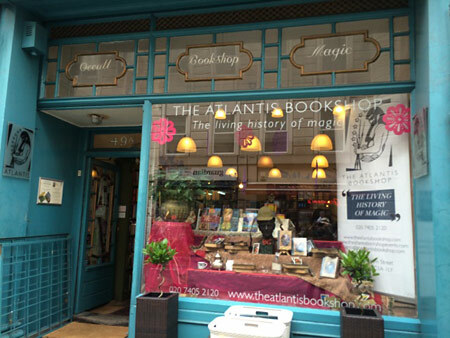 I was suffering from a bit of a cold and wanted to stop at a pharmacy so I pulled up Google Maps to try and locate one when lo and behold, there appeared on the map just .1 km away, the Atlantis Bookshop. Which just happens to be London’s oldest independent occult bookshop and was a known haunt of Gerald Gardner himself. As a self-described bibliophile and lover of occult history, it seemed too good to be true. We walked inside and found the owner Geraldine behind the counter. I knew that Jason Mankey had just been there giving a talk so I walked up and introduced myself and explained that I was a blogger for Patheos. Out of curiosity, I asked if there were any upcoming events and she told me that there was a night in honor of Alex Sanders just a few days away. Furthermore, Maxine would be attending and would be leading the group ritual! I think my eyes were popping out of my head at this point. I knew we would be back in London that night so I immediately put our names on the list to attend. When Saturday finally came, I was beyond excited. We arrived as soon as the doors opened and found ourselves amongst a lovely group of people who were very friendly and thrilled to have a couple of witches from across the pond in attendance. One woman came right up to us and started chatting. A few minutes into the conversation she asked us if we had met Maxine yet, which we obviously hadn’t. I started fangirling right about now….she then brought us over to one of the most ethereally beautiful women I have ever seen. It’s hard to describe her presence. Like meeting Galadriel I suppose. 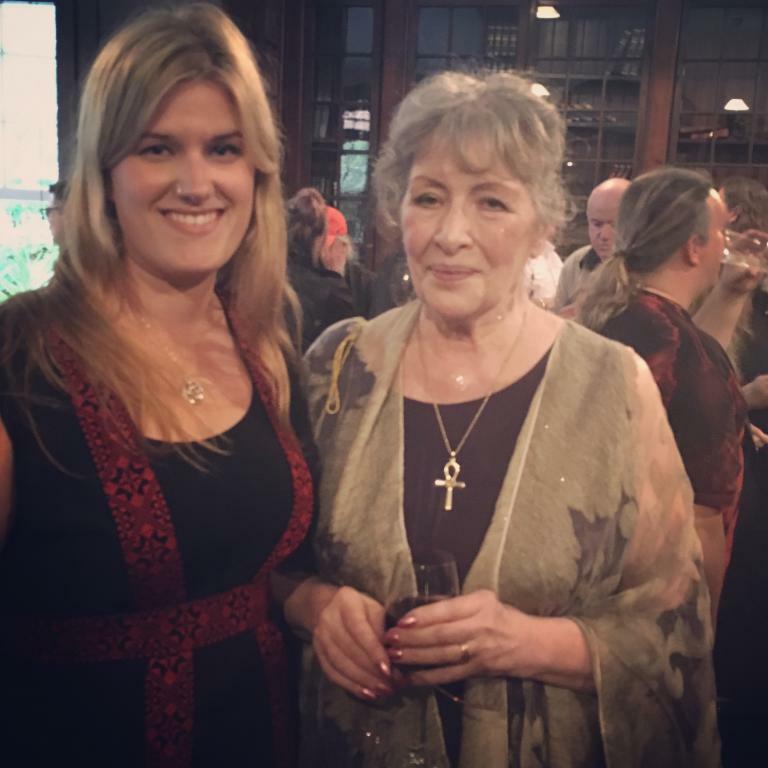 She oozes power and yet is incredibly kind. She was very pleased to meet us and even agreed to take a picture with me. Later in the evening when she cast the circle, she seemed to be of another world entirely. We spent the rest of the night listening to memories of Alex shared by those who knew him best. It was truly a once-in-a-lifetime experience that I will never forget. Previous what’s the deal with eclipses and doomsday prophecies?